WEST CHESTER, Pa. – In the first round of the Bill Giles Invitational, the No. 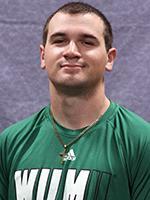 22 Wilmington University baseball team defeated No. 18 West Chester, 18-4, at Serpico Field on Wednesday afternoon to advance to the Bill Giles Invitational Championship. With the win over the Rams, the Wildcats advance to the Bill Giles Invitational Championship at Citizens Bank Park in April, where they will face USciences. WilmU won the tournament last year, and look to repeat for the first time in program history. No date has been set yet. USciences defeated Jefferson in the other First Round contest. A big fourth and sixth inning and a total of 18 hits for the Wildcats (16-8) would help them jump out to a big lead over the Rams (12-5) in a rematch of last year’s Bill Giles Championship. There was no action until the third inning for the Wildcats, as Julian Kurych (Appoquinimink) started the inning off with a double to right field. 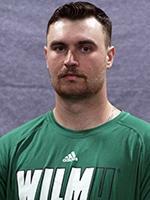 With Kurych in scoring position, Dakota Graham (Dover) would put down a safety squeeze to the pitcher to score Kurych and give WilmU a 1-0 lead. With the bases loaded in the top of the fourth inning, Kurych hit a single to right field to score the first two runs of the inning for the Wildcats. Brooks Ryan would be the next to single to the shortstop to bring home Kurych, before Eddie Nevins watched four pitchers go by for a bases loaded walk. The Rams would be on their third pitcher of the inning, before Kendall Small (Dover) gave the Wildcats their sixth run of the inning on a sacrifice fly to left field and head into the bottom half of the inning with a 7-0 lead. 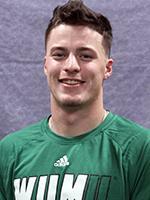 With the bases loaded again to start the top of the sixth inning, Max Carney (Concord) singled to right field scoring two runs, before Luke Johnson hit a single to center scoring another for WilmU. Joey Cautillo would get into the action with a two-out single to center field to score Carney and extend Wilmington’s lead to 13-0. West Chester would break the shutout for the Wildcats in the bottom of the seventh inning as they got their first run of the game. The bats would keep rolling for the Wildcats though, as they would get four more hits in the bottom of the eighth. Senior Luke Johnson would hit his fifth homerun of the year out to left field, before Julian Kurych would follow him with a two-run shot to right field to give himself his fourth hit and fourth RBI of the game. Kurych would go 4-for-5 in the ballgame with four RBI and four runs, while Luke Johnson went 3-for-4 with two RBI and three hits. Max Carney had two hits and two RBI, as Dakota Graham had two hits and one RBI for the Wildcats. The Wildcats had 11 players with at least one hit in the win. Wilmington would have nine pitchers throughout the game, changing every inning. Rudy Gervolino would get the start for the Wildcats and strikeout two, while Sean Deely would strikeout two and get the win for the Wildcats to improve to 3-2 on the year. 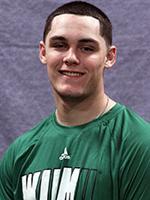 Freshman Rich Albrecht would strikeout out three for WilmU. The Wildcats are back on the road Friday when they travel to Chestnut Hill for a CACC doubleheader. Game one is slated for 12:00 p.m.